Design Your Own Custom Car! Your car is the place to show off your personality, so why not decorate it with some Hawaiian turtle car stickers? What Are Hawaiian Turtle Car Stickers? Car stickers and decals come in all shapes and sizes and a new fad has emerged, the Hawaiian theme! Hawaii has long been known for its easy lifestyle, warm waters, gentle breezes, hula dancing, and wildlife such as sea turtles. With surfboards abundant and decorated with everything from the rider's name to hibiscus flowers and now even turtles, the Hawaiian style of decorating your vehicle is here to stay! Most car stickers and decals are best if purchased in white to give a better appearance, but Hawaiian turtle car stickers can be ordered in any color if desired. Easily applied, you can place these stickers and decals inside or outside of your car's window, on a bumper, or your dashboard. Stuck On Maui - This website offers so many designs of turtle stickers that it's hard to name them all here! Choose from their heart turtles, diamond turtles or hibiscus turtles. Payments can be made via Paypal and Stuck on Maui offers a web page dedicated to sticker application in seven easy steps. Read the frequently asked questions section and browse the many colorful designs they offer. Car Stickers - Here you'll find seven varieties of turtle decals made of one color vinyl with cutout detail. Click on their available color link to find standard or primary colors, metallic and glitter selections, and even reflective vinyl colors. Car Stickers offers both regular and inverted style stickers and you can even add your own text. Kauluwale Stickers - This company offers unique Hawaiian turtle designs. 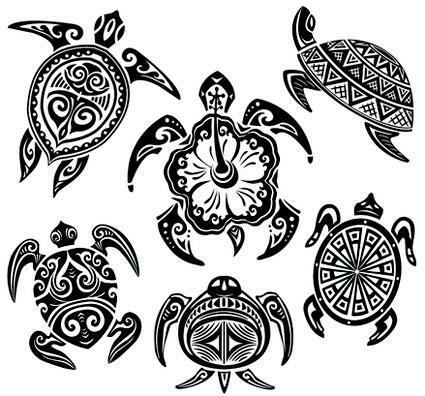 Choose from a decal of one turtle or up to five turtles made of premium vinyl. All of their car stickers are waterproof and durable and they offer great application tips. You can also visit some of their favorite links on tropical shopping and traveling. In Bloom Stickers - Stickers here come in four different sizes and up to eleven different colors from black to hot pink to white. Made of durable and water resistant vinyl, choose from their Honu Turtle or browse Hawaiian and endless summer themes. Make sure when you checkout that the website uses a secure server. You can tell it is a secure server if the first letters in the URL line are HTTPS. If it's not a secure server, it's best to call the company and place your order. Find out before you order if a company offers a money-back guarantee if your stickers are not what expected or damaged as well as their return policy. If a company offers Paypal as an avenue to pay and you don't have an account, visit Paypal and set up your own account. It's free and easy. Once your stickers or decals arrive, make sure to read all the application instructions or visit the website for expert application tips so you don't make a mistake when installing. Often you only get one chance! Hawaiian turtle car stickers are all the rage so choose your favorites, and get started decorating your car!